Oelek (or Ulek) refers to the mortar and pestle that are traditionally used to make this chilli paste. Today, with the help of a food processor, we are able to achieve the same result with significantly less effort, without compromising its taste, of course. 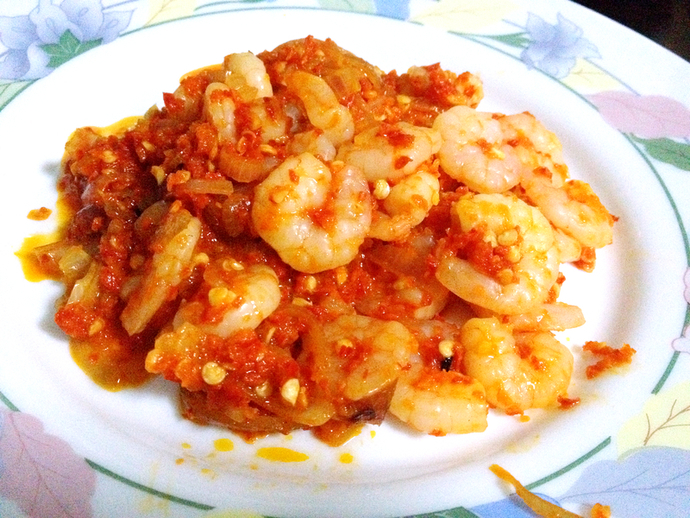 While it may look red-hot and fiery, this prawn sambal oelek can be catered to all palettes. All you have to do is to modify the recipe by reducing the number of chillies (also reducing the amount of lime juice, fish sauce and sugar). Removing the chilli seeds will help too. 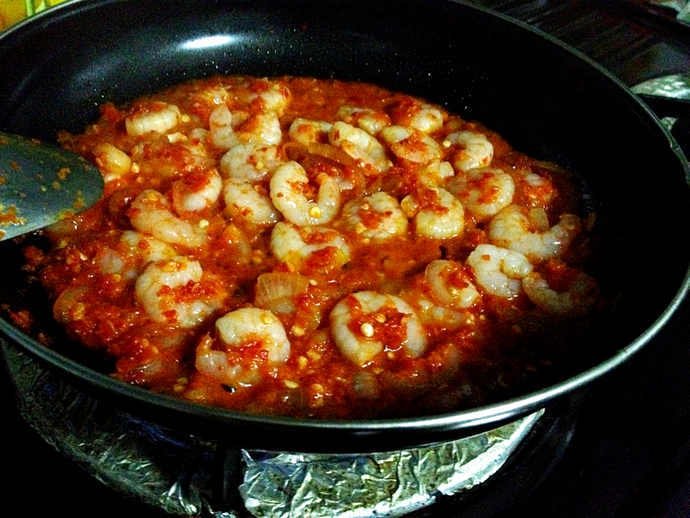 You can also substitute the shrimps with prawns, squid, cuttlefish and even peeled, hard-boiled eggs. Additionally, the sambal oelek straight from the processor can be used as a dip too - especially delicious with barbecued meats, fried chicken or grilled fish. Slice crosswise through the onion, so that you get semi-circular sections. 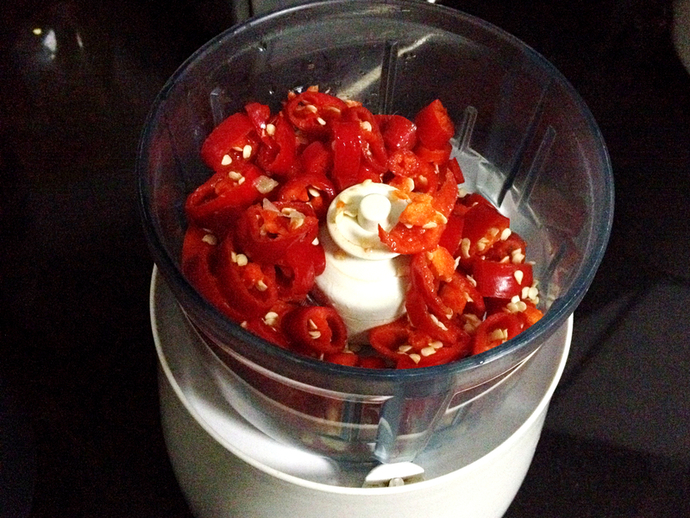 Place chillies, lime juice, fish sauce and brown sugar into the food processor. In a pan or wok, heat up oil on medium heat. Add in onion slices and sauté until almost translucent. Add in chilli mixture from the processor and sauté for a minute, or until fragrant. 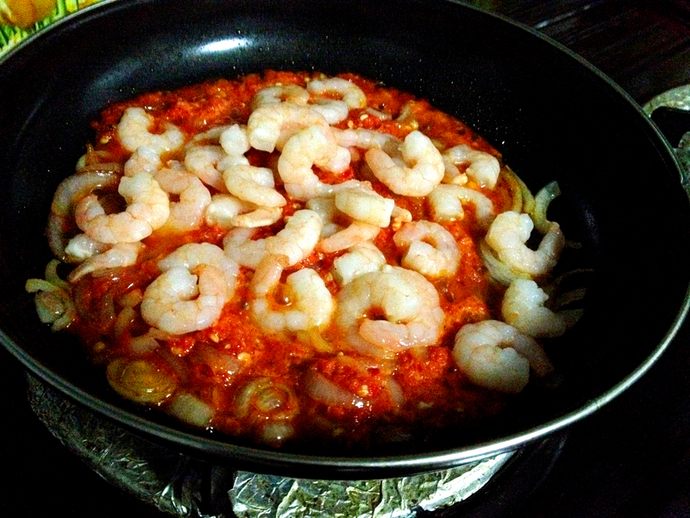 Add shrimps and sauté for about 2 minutes, or until shrimps are cooked. 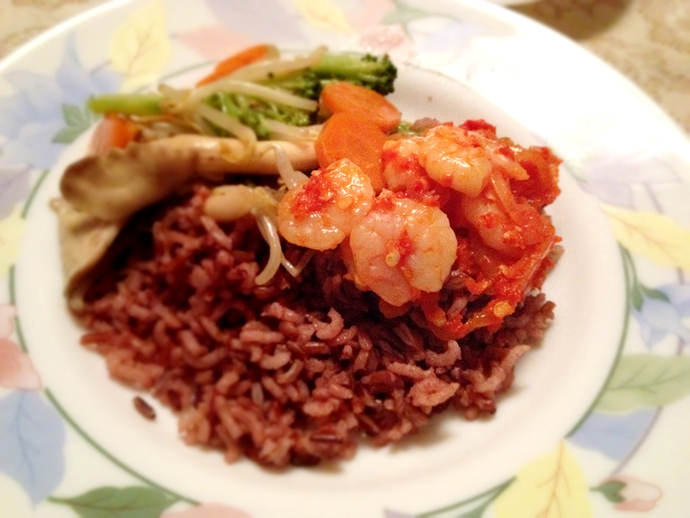 Serve hot atop brown rice or rice of your choice.